We can do most houses in just ONE day! We remove popcorn along with any other existing textures, such as, crowsfoot, orange peel, star shaped patterns, etc. 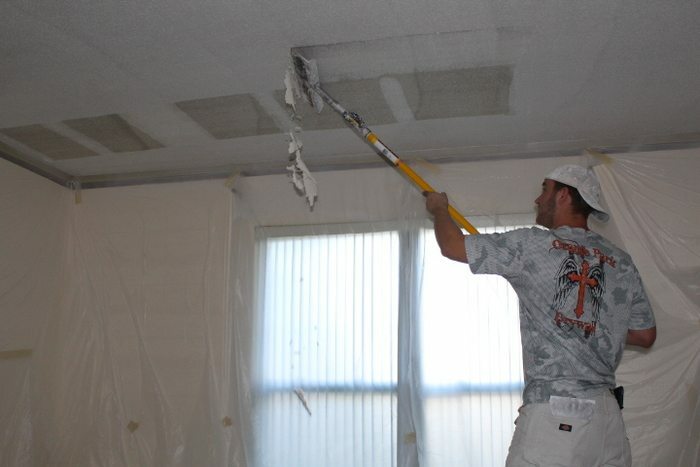 Orange Park Drywall will come in and cover all of your walls, floors, lights, etc. with visqueen (heavy plastic). 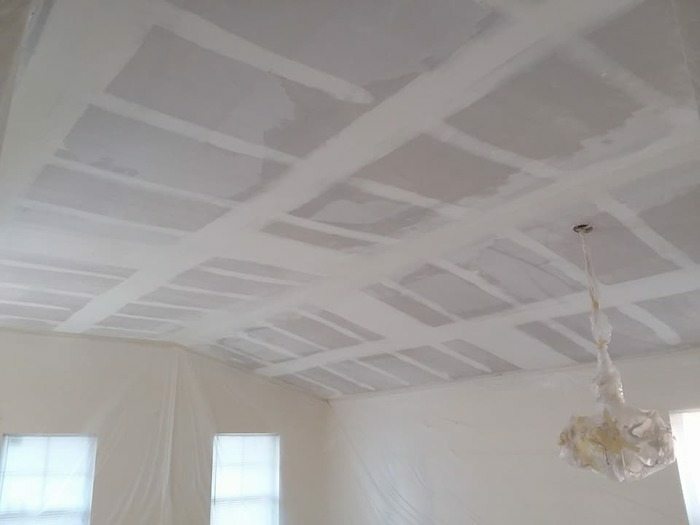 We will then spray a light layer of mud over your existing texture to safely remove (Orange Park Drywall DOES NOT use water to remove existing texture). Once the existing texture has been removed, any minor drywall damage in your ceilings will be fixed (Small cracks, loose tape). 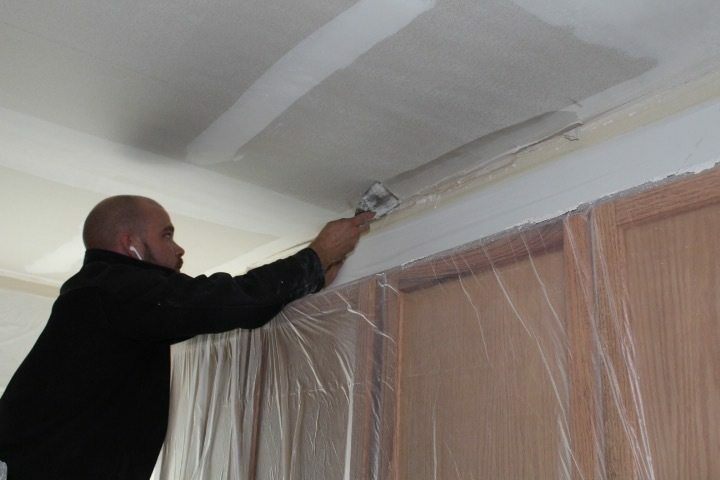 After the drywall has been repaired, your ceilings are ready for the knockdown to be applied (knockdown is our most commonly requested texture-this process could change if you choose a different texture). 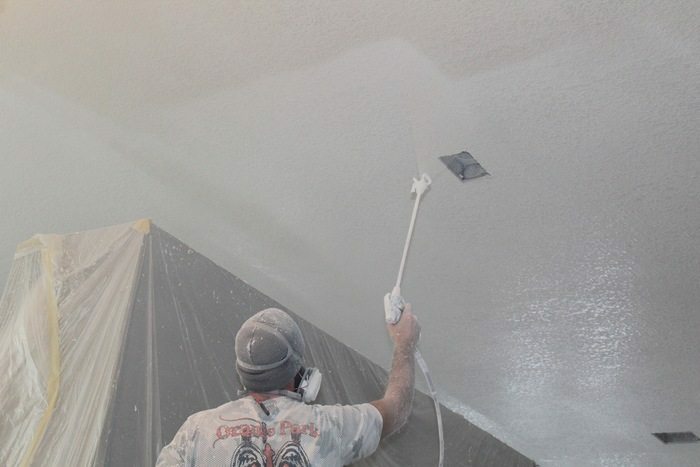 Once a two-coat knockdown is applied, one of our technicians will paint your ceilings (done with a paint sprayer). Q). Does my home need to be emptied before the work can be completed? A). No. We do fully furnished houses everyday. Q). What needs to be done by the home owner before starting a job? A). It is the home owners responsibility to remove any loose items from counter tops, dressers, tables, etc. It is also the home owners responsibility to remove any breakable objects from the work area. Q). Should I wait to paint? A). YES. 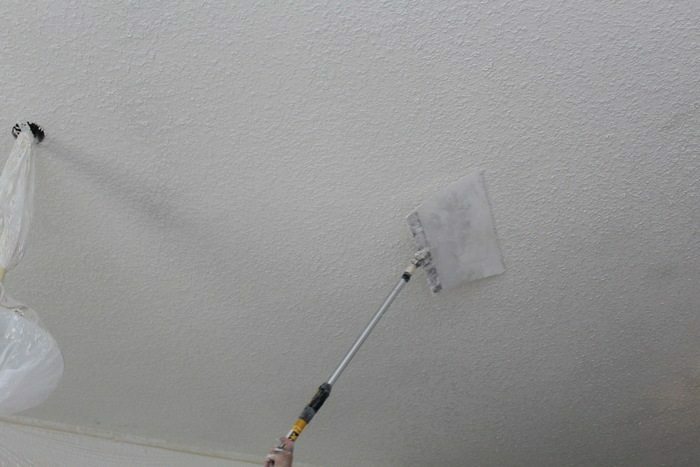 Because we have to use a certain kind of tape to hold the heavy plastic around your walls, there will be some amount of touch-up paint to be down afterwards by the home owner. With Over 34 Years In The Drywall Business…..